If You Have Been Arrested for Domestic Violence, Call Indiana Bail Bonds for Domestic Violence Bail Service. Have you or loved one been convicted of domestic violence? Are you in need of a domestic bail bond to secure your release? At Indiana Bail Bonds, we offer domestic violence bail in Avon and Indianapolis, IN, for individuals who have been convicted with this type of crime. We are open 24 hours a day, seven days a week, so we can help you with your bail bond any time or day. When you need our bail services, please give us a call at 317-423-9300. There are many different types of domestic violence, which can include physical, emotional, sexual, financial, and psychological. In the state of Indiana, causing intentional bodily injury to your spouse or partner is illegal and is referred to as domestic battery. A domestic battery charge is considered a Class A misdemeanor, but for individuals who have already been convicted of domestic battery, they can be charged with a Level 6 felony. Someone who is charged with domestic violence can also be charged with a Level 6 felony if they committed domestic battery in front of a child who is under 16 years old. 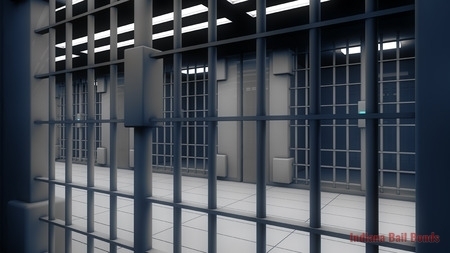 Misdemeanors and felonies will have completely different bail amounts but we will do our best to secure your release. We understand this can be a difficult time, so when you need fast and reliable domestic violence bail in Avon and Indianapolis, IN, our bail bond agents will be here to offer their services. In situations with domestic violence, the judge may see fit that bail is not granted. This can happen if the judge believes that the injured individual is in danger. However, depending on the severity of the offense will depend on how much the bail is set. We are able to offer misdemeanor, felony, surety bonds, and more bail services in order to secure your release from jail. At Indiana Bail Bonds, we are here to offer quick and reliable services for our customers. Regardless of the charge, we want to be there to help anyone who is in need. Each situation will be different, but our fast and quality work remains the same no matter what. If you need domestic violence bail in Avon and Indianapolis, IN, please call our bail bond agents at 317-423-9300 today. Updated on February 1, 2019 at 2:23 pm by Indiana Bail Bonds.